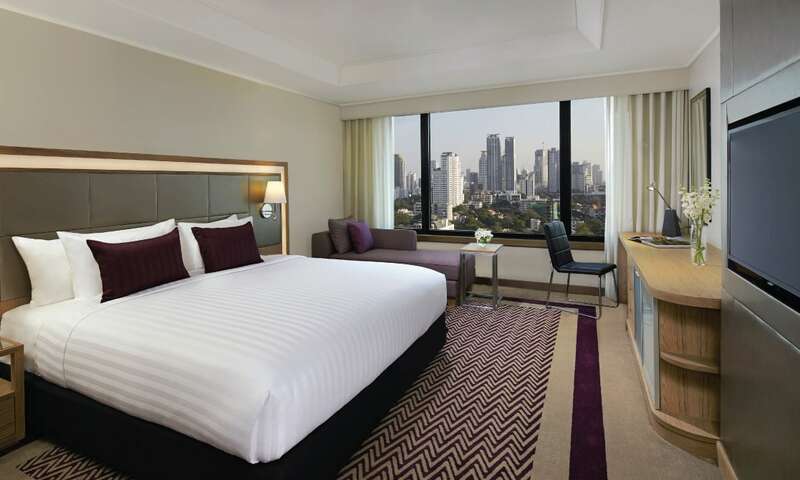 Situated along the Chao Phraya River, AVANI Atrium Bangkok offers large and spacious rooms, a gym and a fine dining restaurant. 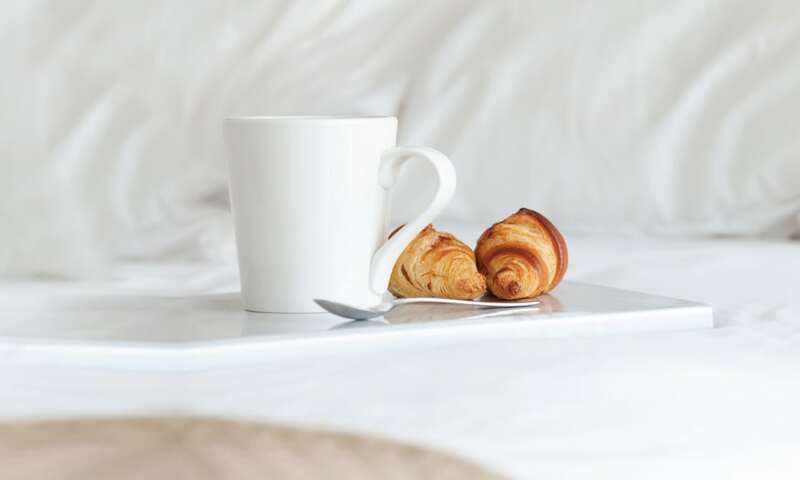 Sumptuous breakfast, great hospitality and panoramic views of the river are some of the notable features that will leave you spellbound. A simple boat ride in the evening is truly irresistible. If luxury is the word, then one really cannot pick a better 5 star hotel than the Avani Atrium Bangkok. Honeymooners will never forget their honeymoon if they book their stay in a hotel like this one. This hotel makes all of its guests celebrities and offers the best service they can hope to have anywhere in Bangkok. The hotel oozes luxury both in how it looks and how the staff carry themselves and treat the guests. The bathrooms are well equipped, the restaurants are ready to serve, and the atmosphere at the hotel is one of a calm vacation beckoning.The hotel screams modern with its decor and the large windows fitted in the rooms that offer stunning overviews of the city. Besides that, of course the guests have access to a swimming pool to lounge in, a fitness centre to work their muscles in after a long day, and free wifi access all around the hotel. At the Avani Atrium, the Premiere Double, Deluxe Double, and Deluxe Skyline can all accommodate three people. The guests can also choose the kind of bed they want- for example a double bed can be replaced with 2 single beds. The Skyline room offers stunning views of the city and is one of the most sought after given its price. Corner Suite, Executive Double, Executive Suites and Grand Executive Suites all come with Avani Atrium Hotel benefits. All of these rooms come with a turndown service for the evening and other services like complimentary newspaper, sofa bed, and even a walk in shower. These rooms are best suited for families and can accommodate 4 to 5 people. Avani Atrium Bangkok also offer what other hotels dont- a limousine service at a surcharge. Guests can really feel like theyre on a dream vacation. Of course, the rooms themselves are luxurious as well. Each room comes with a minibar of its own and TV with satellite connection. Of course, the executive rooms take this a step further. 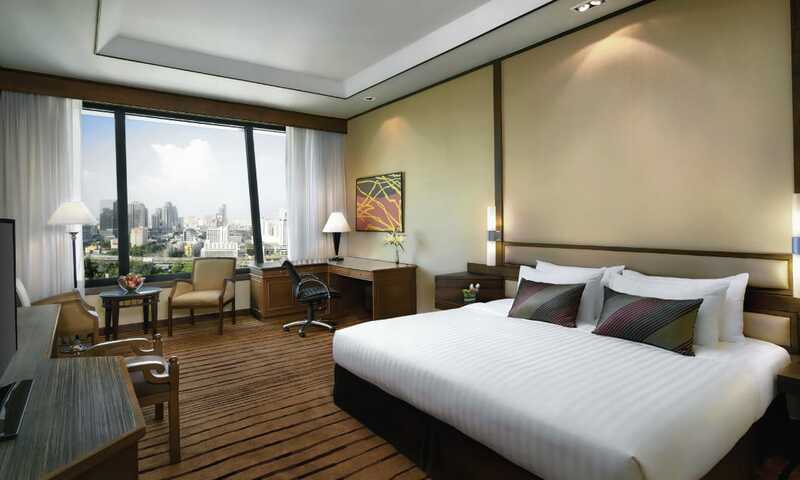 Guests also have the option of letting the Avani Atrium Bangkok handle their tour and sightseeing itinerary. All tourism related concerns can be addressed at the hotel itself- including currency exchange. The comfortable beds are sure to give guests a good night sleep but it only gets better from there. The Avani Atrium Bangkok has not one, but three restaurants on site- each offering a different cuisine altogether. This is also beside the breakfast buffet- which serves a selection of Vegetarian, Asian, and American cuisines- all in buffet style. The restaurants- Public, Benihana Restaurant, and Pantry at Avani all offer a la carte- except Public which also offers buffet style. 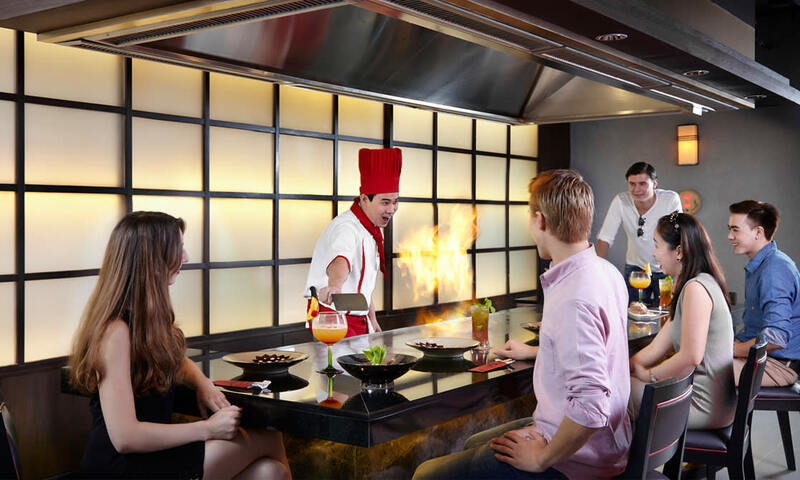 Benihana is only open for lunch and dinner- offering the best of japanese food such as traditional sake and teppanyaki style dishes. The Pantry is even open for high tea and cocktail hour- so its bottoms up time anytime! Public serves more casual cuisine such as Italian, America, and even Indian! Getting to and from the Avani Atrium Bangkok Hotel is made very easy- not only is the hotel impossible to miss but it offers a daily shuttle service to the shopping area and the nearest sky station, Phetchaburi MRT Station. The Night Market is also nearby and is best for people looking for a steal deal. Huai Khwang is also a great hot-spot nearby that guests can pay a visit to. What is the AvaniClub and what are its benefits? Avani Atrium Bangkok Thailands AvaniClub benefits are what set this hotel apart from everything else. These benefits include- buffet breakfast from 6 AM to 10:30 AM, a whole range of refreshments made available throughout the day, selection of snacks, fresh fruits, and cookies available from 2PM to 4PM, and finally cocktails and beverages from 6 PM to 8 PM. Can the hotel make arrangements for children? Children between 0 - 3 years who can stay on existing beds or need a cot (which can be requested) are allowed to stay free of charge. For children aged 4 to 11 who can stay on an existing bed, there is an additional charge. Is this an ideal hotel for couples on honeymoon? 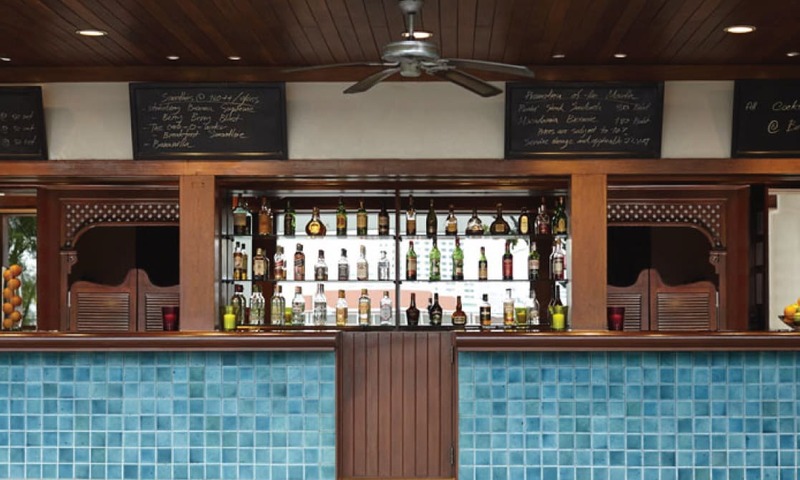 This is one of the best hotels couples can opt for- romantic setting, poolside bar, and all other services made easy. Does the hotel offer massage treatments? Yes, Avani Atrium Bangkok Hotel has an in-house massage center for the guests. Does the Avani Atrium Bangkok Hotel offer a tour-desk facility? Yes, the hotel has a tour-desk and also arranges tickets to the nearest attractions of the city. The Avani Atrium Bangkok Hotel places its guests in the lap of luxury - be it the classy modern furniture in the rooms, or the romantically inclined lounge all with a piano of its own. Families can expect to have a laid back vacation with their children taken care of, while the hotel arranges their travel itinerary. 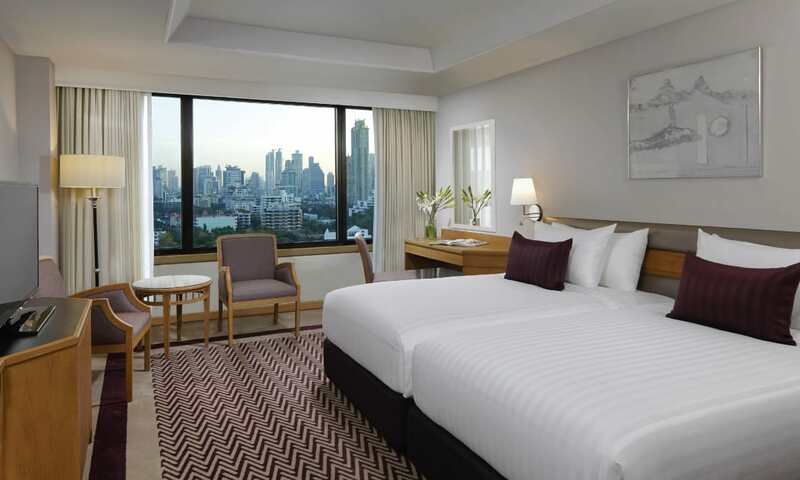 Depending on the rooms one picks, they can get some stunning views of the city of Bangkok which truly set it apart. The restaurants are all highly rated too. At night, guests can enjoy the nightlife the city has to offer with its buzzing heart- and the location of the hotel makes travel the easiest it can be. One as a visitor is staying both in the lap of luxury while also being connected to the city. Guests can also go ahead and request shuttle services to and from the airport making their trip come full circle with Avani Atrium Hotel.